Despite residing in a country that has the highest rates of skin cancer in the world, little is known about the knowledge, attitudes and sun protection practices of first generation Australian-born individuals with olive and darker skin types. Six focus groups with first generation Australian-born individuals of Asian, Mediterranean, Middle Eastern and Indian background were conducted. Participants had good knowledge of the dangers of skin cancer. Most correctly perceived darker skin types as protective and believed they were at low risk of skin cancer. Most participants could recall high profile mass media sun protection campaigns. Several participants suggested that greater representation of ethnic minorities and/or individuals with darker skin types would increase the personal relevance of campaigns. Beliefs that sun protection is not necessary on the basis of skin type highlights the need for further studies to explore fundamental differences in attitudes and practices between those with olive and darker skin and the general Australian population. This research was funded by Cancer Council New South Wales and supported by a Strategic Research Partnership Grant from the Cancer Council NSW to the Newcastle Cancer Control Collaborative. 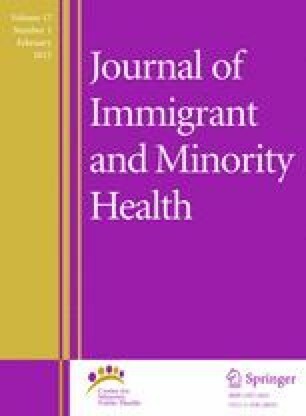 The authors would like to thank the Migrant Resource Centres who assisted with recruitment of participants, the participants who took part in the research, and Kimberley Jones for assistance with manuscript preparation. Ethical approval was granted by the University of Newcastle Human Ethics Research Committee: H-2011–028.